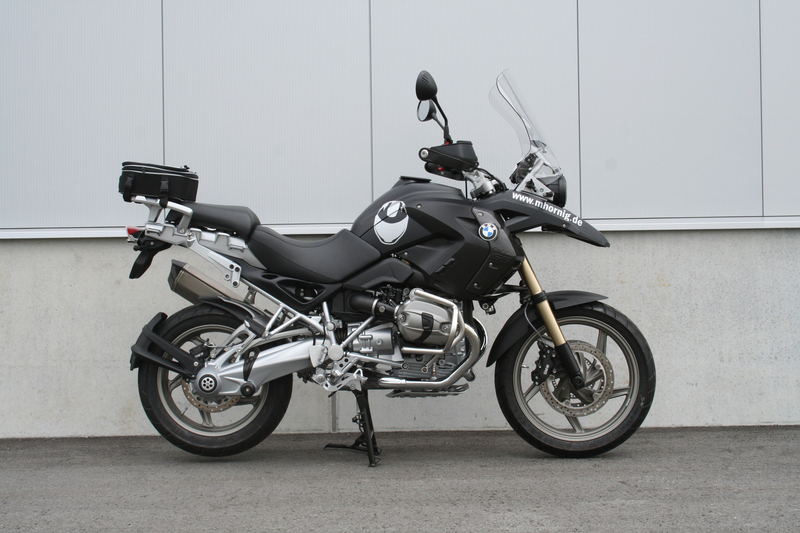 We introduce here our latest conversion of a BMW R1200GS model year 2012 which will probably be the last air cooled Boxer of the GS-Series made by BMW Motorrad. 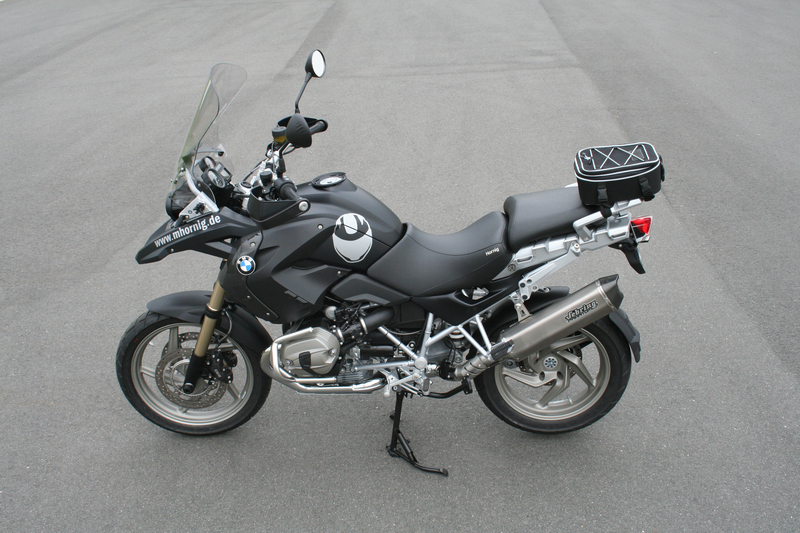 The goal was to show what you can do with a R1200GS with only street legal products of our current product range. 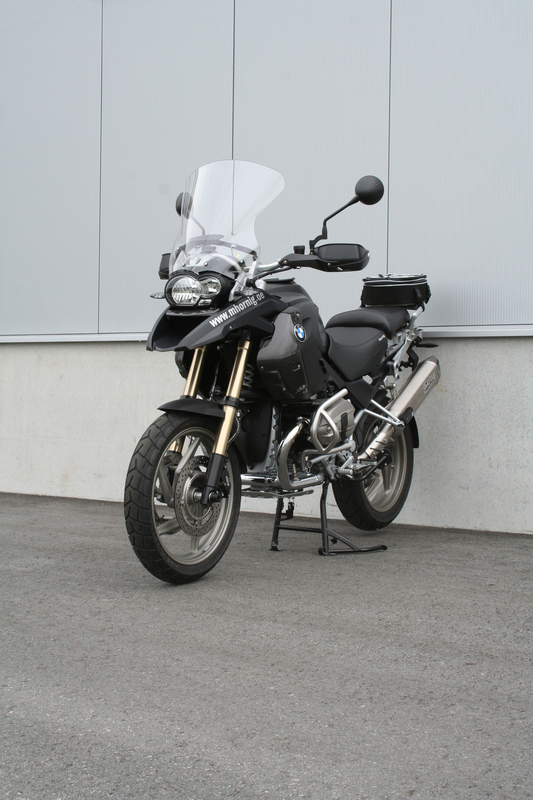 The first must have was a new ZTechnik windshield with EG/ABE (European homologation) with a height of 49cm and a width of 45cm to improve the comfort and ergonomics of the R1200GS. The handlebar was made higher and closer to the rider with our 20mm handlebar risers and in order to improve the rear view a mirror extension was also installed. 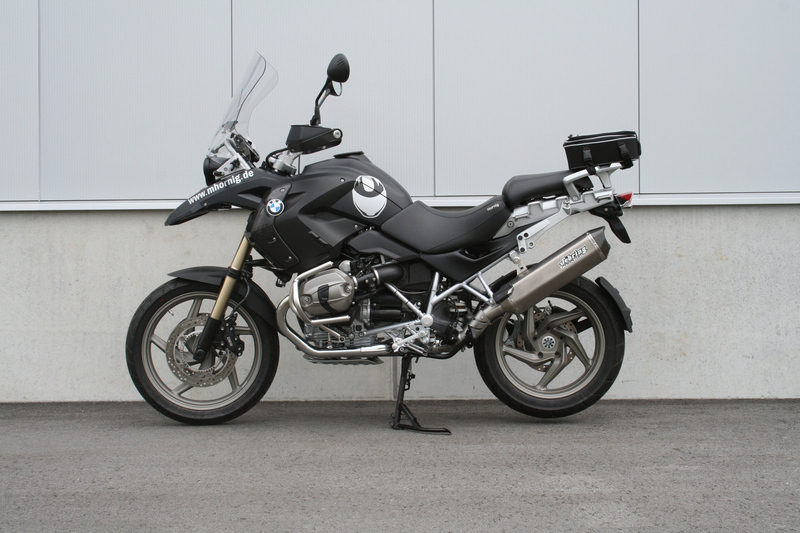 We also used our brake- and shift lever enlargements to improve the brake- and shifting comfort, as well as a sidestand foot enlargement to make sure that the R1200GS will stand where you want it to. To protect the rider and pillion rider from dirt and splash water we used the brand new PUIG mud guard in combination with matt black side panels. Our comfort and ergonomics package was completed with a custom seat and a tail bag with up to 16 litre volume. 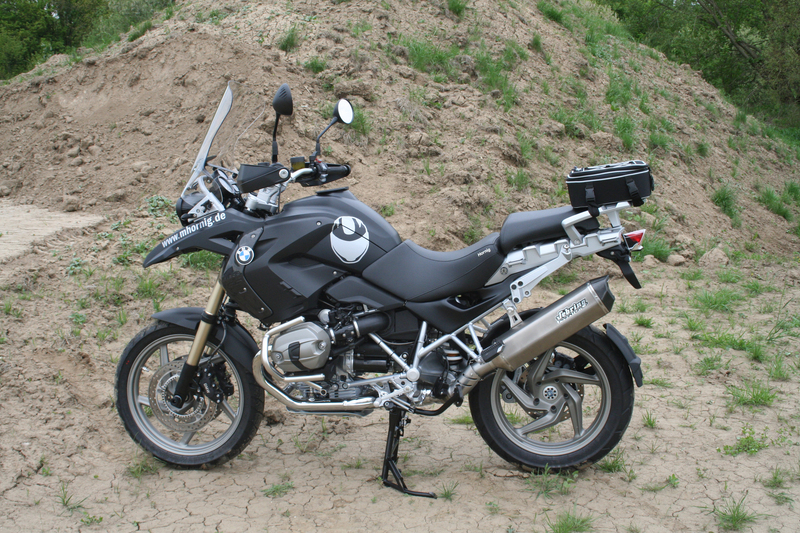 The second big topic for this R1200GS conversion was protection and security. Because of this we mounted fork and cardan crash protectors as well as the great looking ZTechnik crashbar. The Nautilus horn ensures that you won't be overlooked in dangerous situations, the oil filler plug provides unauthorised access to the engine and the oil cooler screen makes the clean much easier. For the detailed individualisation we used the material Carbon Fiber. 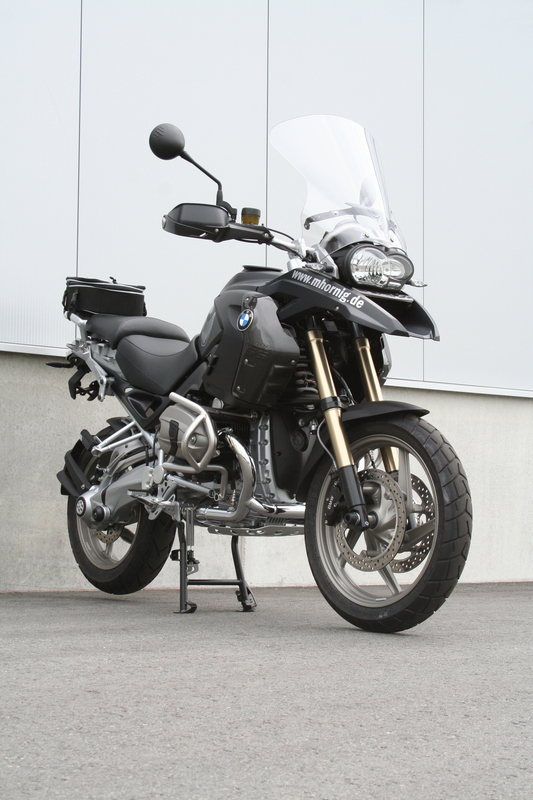 The Carbon Fiber aerial conductor and the side fairings give this R1200GS an unique look. Many little aluminium milled, lathed and anodized products like Telelever end caps, Swingarm covers, rear wheel center hub cover, frame cover and fork end caps emphasise the whole design of the motorcycle. The necessary sound and more powerful look for our matt black GS are provided by the Sebring Phantom exhaust with a removable DB-Eater.